The Bald Face Stag Hotel, Sydney: Saturday 18 August, licenced and all ages. The Bendigo Hotel, Melbourne: Saturday 25 August, 18+. 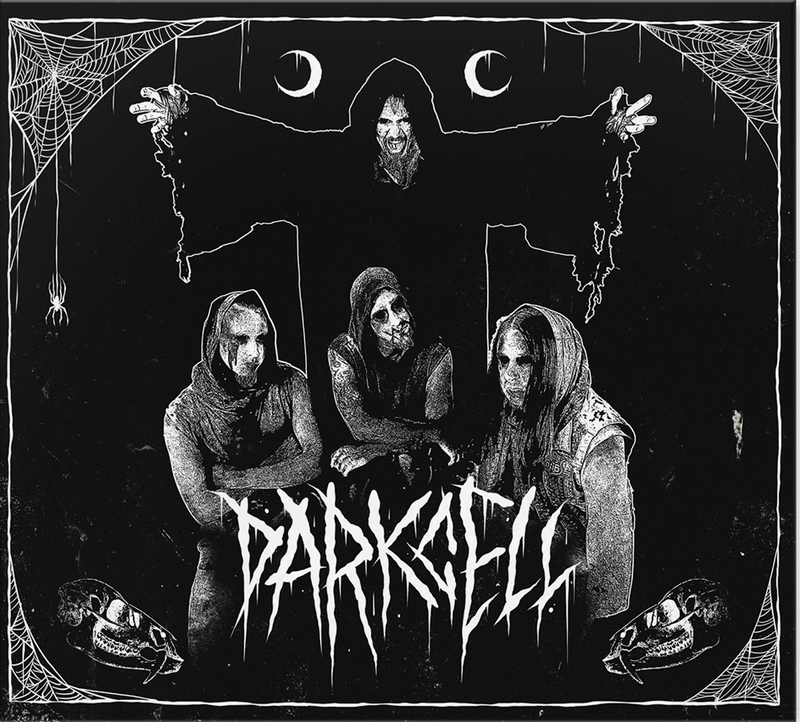 Australia’s own kings of creepy, DARKCELL proudly present – PSYCHO CIRCUS 2018. The annual event is back by popular demand and freakier than ever, showcasing 10 spooktacular bands, circus performers, sideshow attractions and more. This is a truly unique experience that has to be seen to believed. Adding a Melbourne show this year, the carnival is also making stops in Brisbane and Sydney – with Sydney in for an ALL AGES event. Come one, come all! The freaks are back in town. 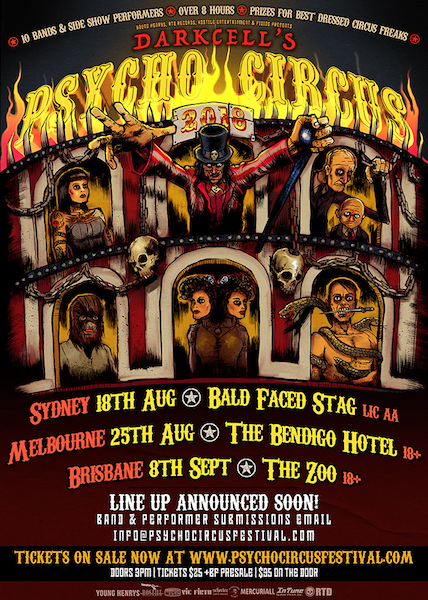 The circus has returned….HAIL!